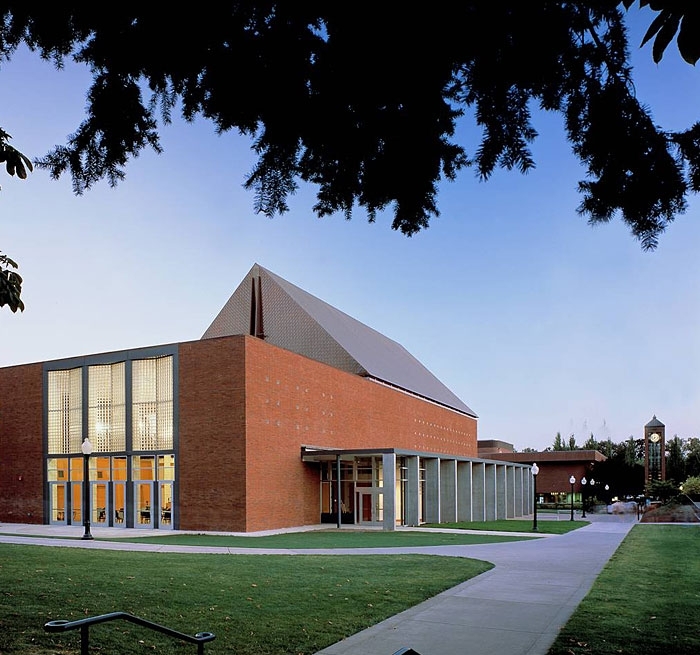 The Mary Stuart Rogers Music Hall houses a 600-seat concert hall at Willamette University. Auerbach Glasow provided architectural lighting design for the performance, rehearsal and public spaces. The architectural lighting designed by Auerbach Glasow in conjunction with the architect responds to the diverse programmatic requirements of each space. 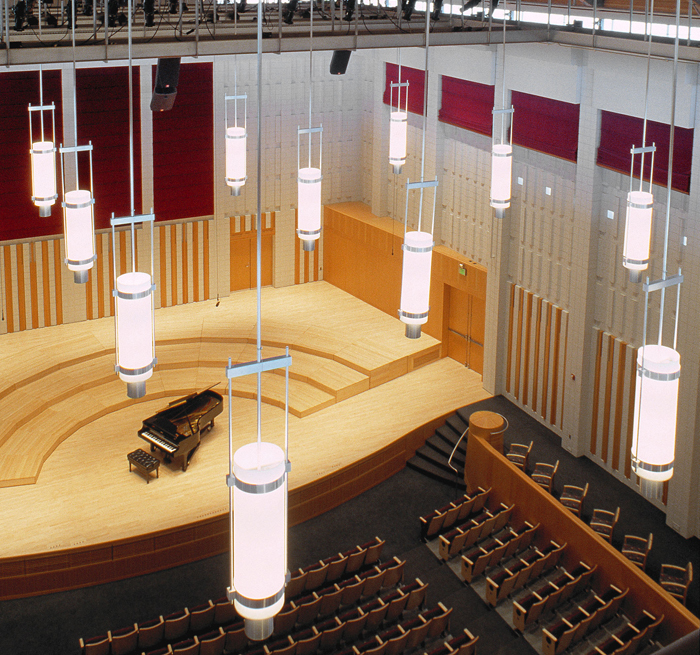 To reveal the grandeur of the concert hall, the team designed custom pendant lanterns to illuminate the architectural volume. The pendants add scale and warmth to the space, as well as provide functional downlight for the audience. Custom designed lighting fixtures are integrated into the technical catwalk system to uplight the ceiling and upper volume of the hall. A flexible, programmable dimming system controls both the architectural and theatrical lighting. 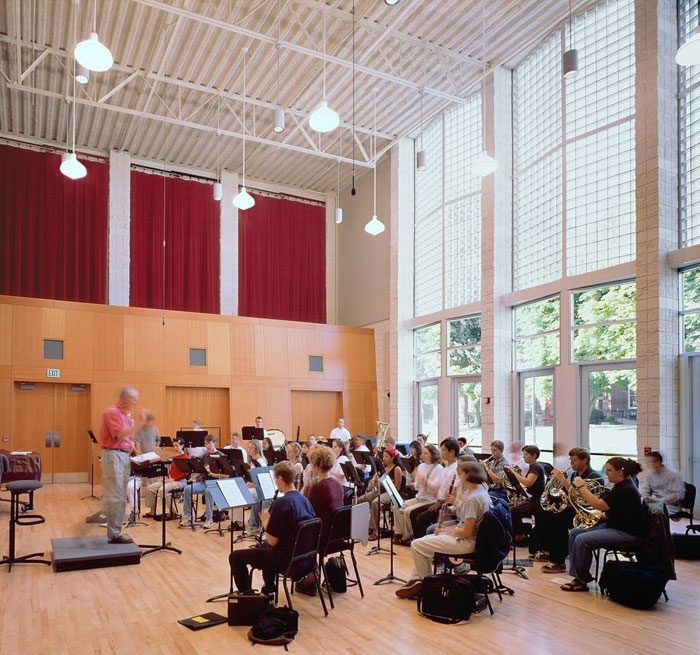 Dual lighting systems are installed in the rehearsal room to meet the multi-functional requirements of a rehearsal, recital and teaching facility. 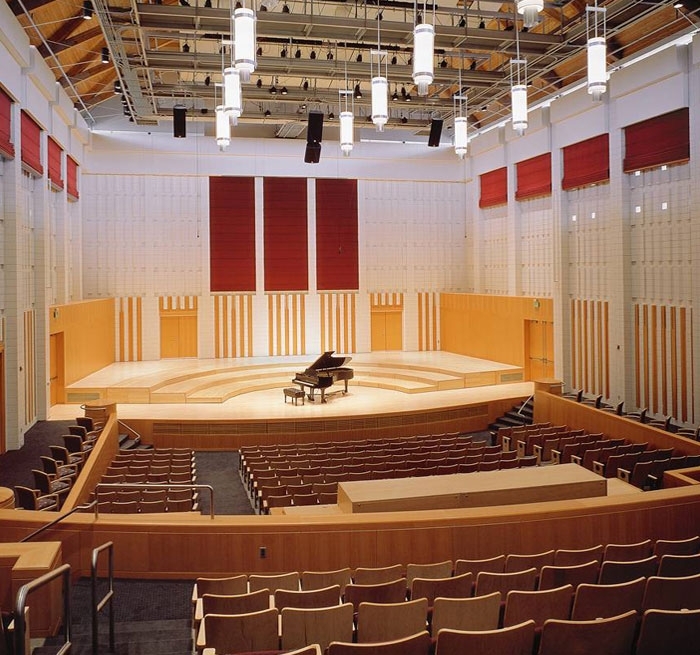 The metal halide system delivers a high level of ambient light for rehearsal and teaching functions, while the incandescent downlights provide a warm, intimate light for recitals. The lobby and gallery lighting approach employs theatrical lighting techniques to provide dramatic lighting for the lobby and flexible exhibit lighting for the gallery.